a pretty well spec'd camera and gives access to a huge system. On a budget it would be hard to pick an EM1 over these cheap entry level DSLRs. I shoot mostly with m4/3, and also with Nikon. The problem with the D3300 is that it won't even autofocus most of my Nikon lenses! I have four Nikon zoom lenses and primes that are "screwdriven" instead of having their own internal autofocus motor. Cameras like the D90, D7000, D7100, D300, D3, and up can drive the autofocus in these lenses; but D3xxx and D5xxx cannot. What does this say about the D3300? It says that this is a consumer-level Nikon DSLR that is sort of a risky purchase for a budding Nikon shooter. Why? The reason I own many screwdriven Nikon lenses (designated as AF-D instead of AF-S in the Nikon world) is because AF-D lenses are often less expensive (and older) designs. Most Nikon primes used to be AF-D, but Nikon has at least released a number of AF-S primes to work with their entry level cameras. But a lot of less expensive lens options, like the 80-200mm f/2.8 AF-D Nikkor (easily found for $600 to $800), will not be an option. You just can't compare an entry level Nikon body, that is quite limited, with a flagship model like the EM1 (which autofocuses with all m4/3 and 4/3 lenses). 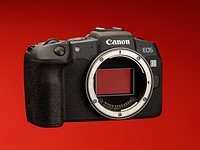 You would compare the 3300 with entry level m4/3 cameras... which will autofocus with all m4/3 lenses. There are currently 46 Nikon AF-S lenses from 10 to 800 mm and many third party lenses that works with the AF of the D3300.